New and modern (built in 2013), this sanitary block has been thought and built with a high level of Environment and Quality Standards (HQE). 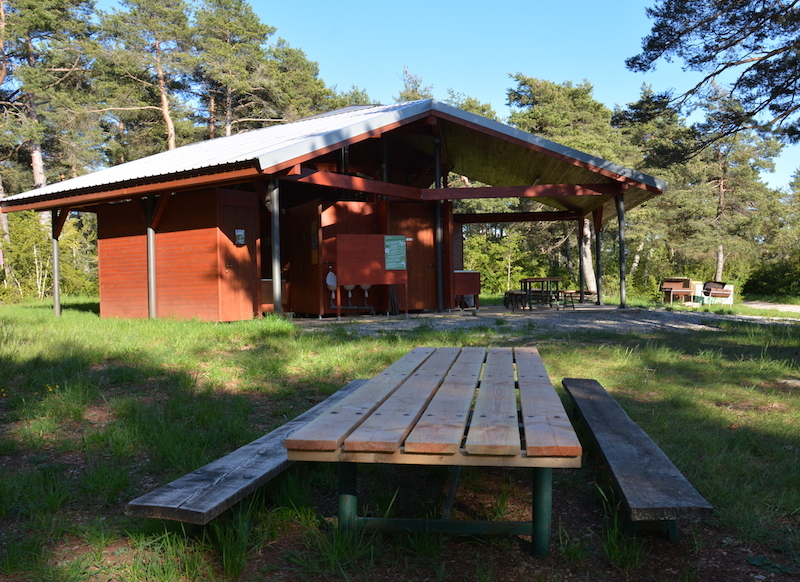 It is made mainly with wood (pine) and roofs are covered with 36 m² solar panels. They capture warmth and heat all the water for toilet and washing. Roofs were chosen to become the most integrated in landscape. Sensitive light and presence captors regulate lightning during the day/night. 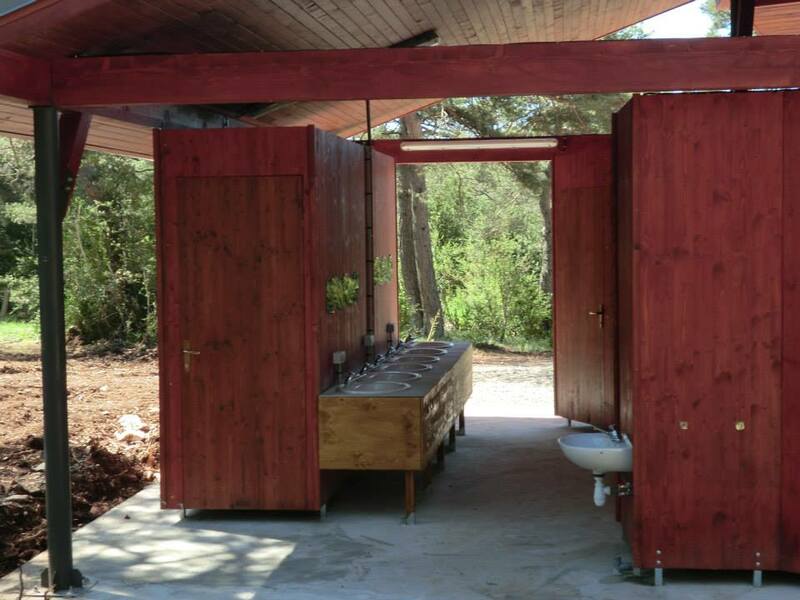 Each area (women/men) gets 6 showers and sinks and 3 loos. In men area there is also 3 urinals. You will also find a baby area and 2 showers are usable by disable people. Washing water is connected with drinkable water conveyance then distributed using economic systems. 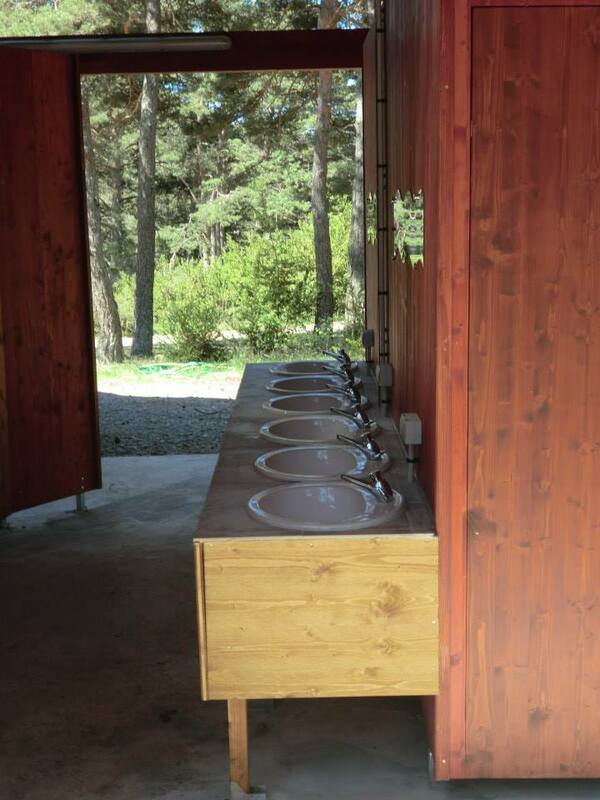 On the contrary, loos are connected with rain water collected along the year and stocked in 200 m3 water tanks. 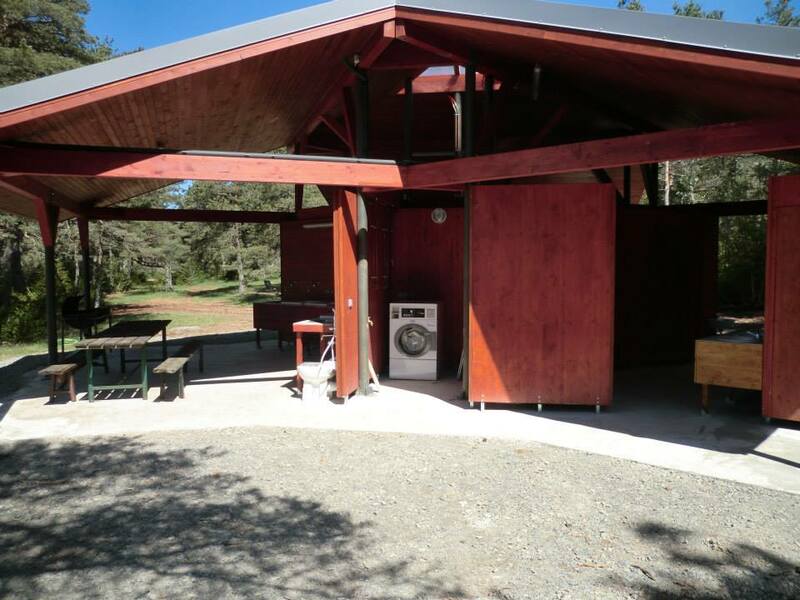 You can cook and prepar your meals in a kitchen area in the front of the sanitary block where you will also find a washing machine and sinks for washing-up with hot water. And you also can use the barbecues available close to this sanitary block.